CREATe’s first All Hands meeting took place in Glasgow on September 15th and 16th 2014. 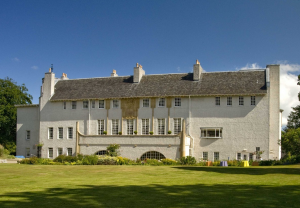 The venue was the Charles Rennie Mackintosh designed House for An Art Lover. The event, principally aimed at CREATe consortium members and associated projects, provided an opportunity to internally showcase our collective efforts, with some invited external inputs and perspectives. It proved to be enlightening, interesting, and fun. For twitter users, the event’s hashtag was #CAH2014. Assessing the IP Small Claims Track). To view all the posters and provide your own comments and questions please see our online exhibition. Below you will find a series of blogs documenting the conference sessions and the general experience for those who participated. We would appreciate it if those that attended the CREATe All Hands Conference complete the survey below to offer their feedback. The first page of questions relate specifically to this event; those on the second provide a chance to comment more generally about CREATe.